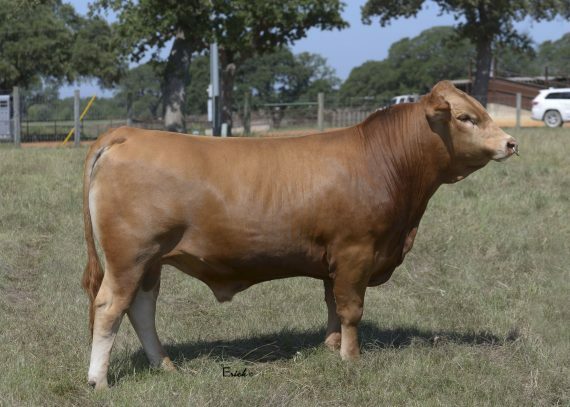 This polled purebred bull is phenotypically appealing, sound structured and sure footed, that there could not be a more perfect combination of muscle, growth and maternal strength. His pedigree combines breed greats such and Akiko, Buckcherry and Joe. This polled sire will be very popular with breeders seeking the polled option in their herd. He ranks in the top 20% of the breed for CE, the top 4% for BW and the top 1% for IMF. This is not the first polled purebred that HeartBrand has produced but King David has earned the HeartBrand stamp of approval for breed excellence.